Pentagon leaders insisted that an Air Force fighter-bomber would make a great Navy interceptor. They should have asked the Navy. 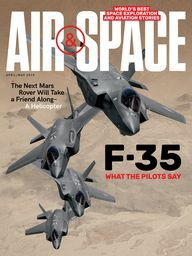 The controversy swirling around the F-35 joint strike fighter echoes previous battles fought over aircraft tasked with serving more than one master. Perhaps the central question in today’s debate is whether a single airplane designed to perform many missions adequately is a better and truly more affordable choice than several airplanes, each designed to perform a single mission flawlessly. In 1968, the Navy had an unequivocal answer: No. But were they right? In the early 1960s both the Navy and the Air Force were shopping for new combat aircraft. The Navy needed a carrier-based interceptor capable of engaging Soviet bombers hundreds of miles away, before they could launch long-range anti-ship missiles; the Air Force required a supersonic, ground-hugging penetrator that could duck in under enemy radar and dodge surface-to-air missiles. The Tactical Fighter–Experimental (TFX) design competition was launched in late 1961. At the time, the prize was one of the most lucrative weapons systems contracts ever awarded. McNamara selected the General Dynamics entry, despite strenuous objections from a military selection board that favored a Boeing proposal, mainly because the General Dynamics idea promised that the commonality would provide greater savings. Then McNamara committed what the Navy saw as a cardinal sin: He designated the Air Force to be the TFX program manager, forcing a reluctant Navy to adopt what would essentially be a version of the Air Force’s bomber. Both services initially agreed on a twin-engine, two-seat airframe, featuring a novel swing-wing design. Beyond that, their design requirements quickly diverged, and as “McNamara’s airplane” developed, so did the Navy’s opposition to it. The Navy’s requirements dated back to the 1950s, when the Soviets began developing anti-ship missiles that could be launched at long range by bombers well outside a ship’s air defenses. 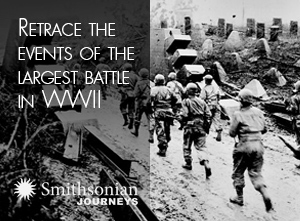 Remembering the devastating Japanese kamikaze attacks of World War II, American admirals had nightmares of swarms of these carrier-killers attacking their vulnerable battle groups. To counter, naval tacticians embraced Douglas Aircraft’s unusual 1959 F6D Missileer concept. Unlike previous fighters, built to tangle in tight aerial battles with highly maneuverable opponents, the Douglas proposal was simply a large workaday subsonic aircraft armed with sophisticated long-range air-to-air missiles. The Missileer would orbit high over the fleet, basically a flying missile battery. It featured a powerful radar and side-by-side seating for better crew coordination, but lacked any trace of dogfighting capability. 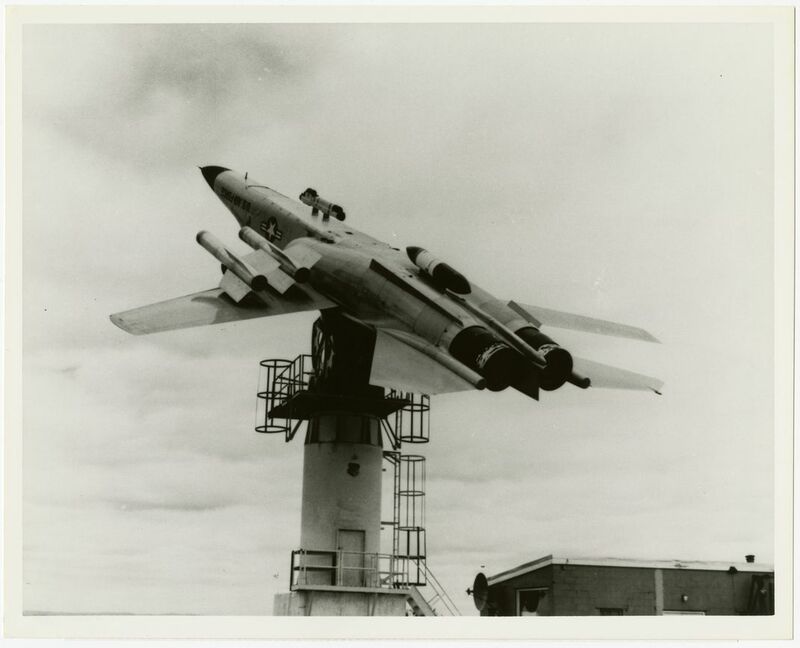 The prevailing idea was that the up-close, “knife fight in a phone booth” style of combat was obsolete, and the Missileer was meant to complement the McDonnell F-4 Phantom, which in 1961 entered service as the Navy’s main fighter—itself a big, heavy airplane, which could haul missiles and bombs in great quantity but quickly proved unable to turn with the nimble Soviet-supplied MiG-17s of the North Vietnamese air force. Future air battles would be fought well beyond visual range, won by whichever side came equipped with the best sensors and missiles. The launch platform could fly like a dog; the real dogfighting would be done by the missiles. The Missileer was canceled, but the concept evolved into the Navy’s version of the TFX, which was soon designated the F-111B. General Dynamics lacked experience in building carrier airplanes, so it partnered with venerable Grumman Aircraft to build the F-111B. Grumman had not only earned a reputation for building tough airplanes, it also had previous experience building a swing-wing fighter prototype, the XF10F Jaguar. The Jaguar was scrubbed in 1953, but lessons learned would be applied to the F-111. The F-111B was to be the most sophisticated design of its era. Not only would it be the first production warplane with a variable-sweep wing, an ambitious undertaking, it would also be the first to incorporate afterburning turbofan engines, capable of propelling the airplane to Mach 2 while still boasting a long range in fuel-efficient cruise. A brand-new, ultra-long-range radar would find targets for the new Hughes AIM-54A air-to-air missile, which itself had a 100-mile range. The Grumman F-111B made its first flight in May 1965, and problems with the engines quickly emerged. To achieve the range, speed, and loiter times required by dissimilar Air Force and Navy mission requirements, General Dynamics had selected the new, unproven Pratt & Whitney TF30 turbofan engine. The turbofans worked well in cruise, but not so well during the flight maneuvering typical of military operations. A series of compressor stalls marred the F-111 test program, tarnishing the aircraft’s reputation among pilots. 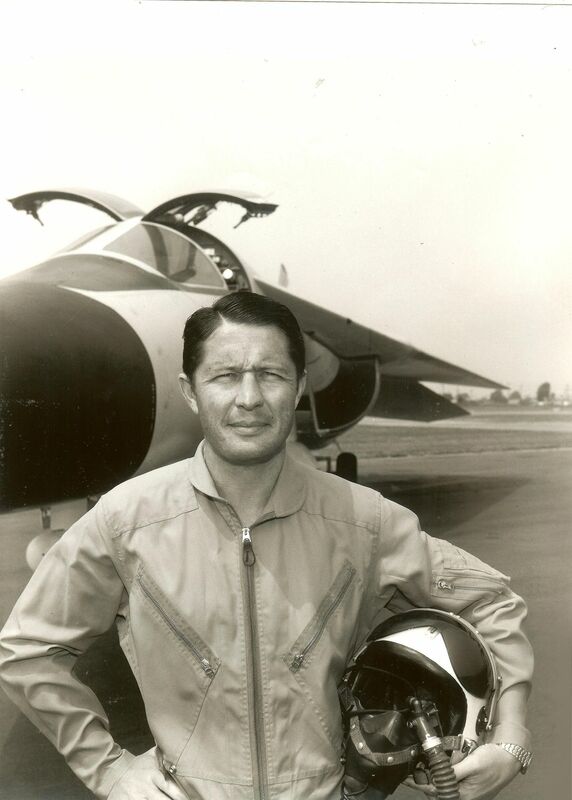 Marrett amassed hundreds of hours flying F-111Bs, at one point doggedly bringing back an airplane, crippled by flight control malfunctions, for a crash landing at Naval Air Station Point Mugu. And despite 188 combat missions piloting A-1 Skyraiders over Vietnam, Marrett considers his F-111B crash in October 1969 to be his closest brush with death in a long flying career. Hughes Aircraft began developing the AIM-54 Phoenix missile in 1962. The capabilities demanded were ambitious; it was required to engage targets at altitudes ranging from just above the waves to over 80,000 feet, flying at speeds approaching Mach 5 and at ranges of more than 100 miles. The AWG-9 radar built to find its targets was the first able to track and engage multiple aerial contacts simultaneously, something the Navy urgently needed to counter the anticipated missile swarm. Surprisingly, the innovative swing- wing technology worked well on the jet. The real problem from the Navy’s point of view was the airplane’s size. Even before its maiden flight, many in the fighter community resisted the interceptor, considering it too heavy and too sluggish for dogfighting—which of course it was not designed to do. The interceptor was big—it had to be, to carry hours of loiter fuel and a load of six 13-foot-long Phoenix missiles weighing 1,000 pounds each. (With a maximum takeoff weight of 88,000 pounds, a fully loaded F-111B was heavier than a similarly equipped F-14; both were far weightier than other fighters of the time.) 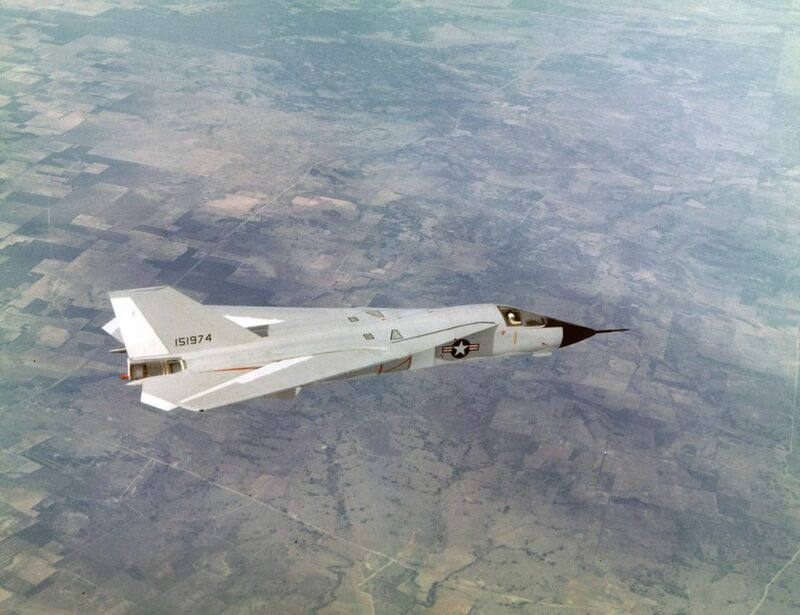 Then there was the Air Force requirement for a ground-hugging supersonic speed capability, which called for design features not wanted by naval planners that added weight and expense to the common F-111 airframe. Commonality, along with engine headaches, hindered progress and increased costs. 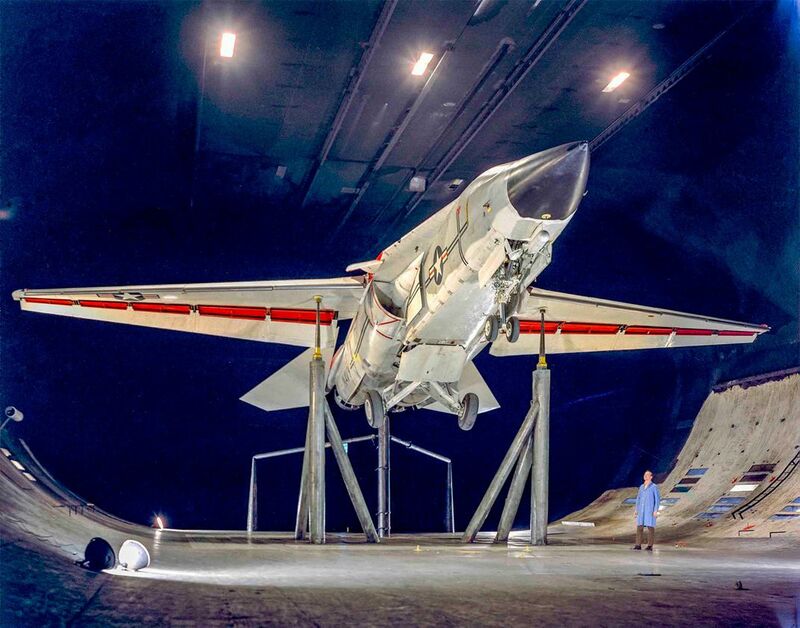 Engineers worked tenaciously to make the F-111B acceptable for carrier duty. They trimmed more than a ton of weight from the airframe, which along with aerodynamic refinements lowered the airplane’s landing speed to 115 knots (132 mph). Higher-thrust versions of the TF30 turbofan enhanced performance, and redesigned engine inlets all but eliminated compressor stalls. What the pilots wanted was an agile fighter with guns for close-in combat, not a big missile-armed bus. During the F-111B’s long development cycle, a vocal faction had repeatedly tried to end it, claiming it was unsuitable for carrier operations. 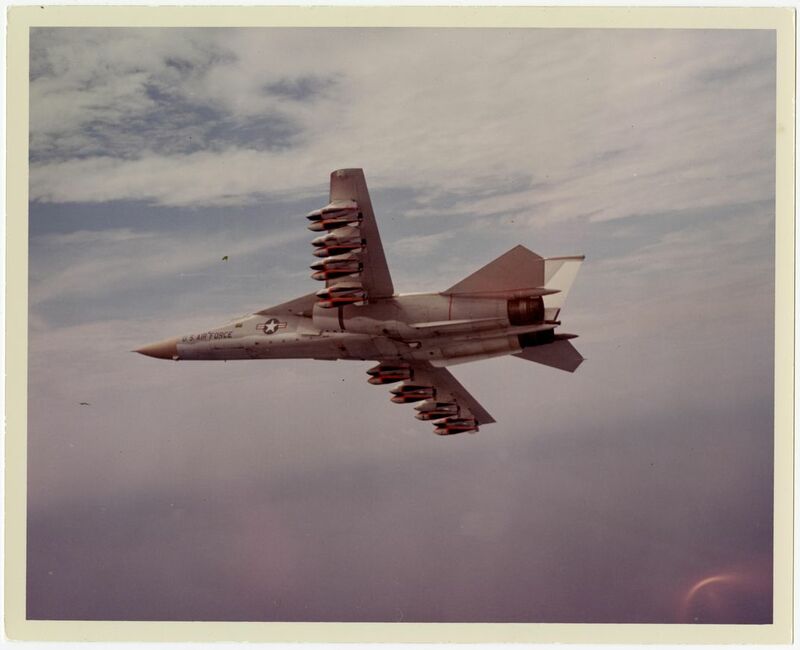 However, as long as the F-111B remained the only option capable of carrying the fleet-protecting Phoenix missile, Navy brass reluctantly supported the aircraft. In late 1967 Grumman proposed its own alternative swing-wing fighter, designed solely to Navy specifications, capable of both carrying the Phoenix and dogfighting. The concept would eventually be designated the F-14 Tomcat. McNamara resigned his position in February 1968, and the controversial F-111 program lost its strongest promoter in the Pentagon. 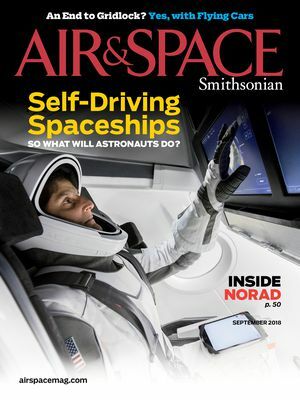 By then, the price of the Navy’s version had skyrocketed from a projected $3 million per copy to $8 million ($59 million in 2018 dollars). Senior Navy officials saw a chance to cancel something they never wanted. The final blow was delivered during a March 1968 hearing before the Senate Armed Services Committee. When asked by Committee Chairman John Stennis whether new engines would make the F-111B acceptable to the Navy, Vice Admiral Tom Connolly pointedly replied: “Senator, there isn’t enough power in all Christendom to make that airplane what we want.” That response paved the way for the F-14. Congress declined to approve further funds, and soon after the F-111B program was scuttled. As a young maintenance supervisor, Mike Glenn worked on the four F-111Bs loaned to Hughes Aircraft for Phoenix missile testing. Later, he would also support early F-14s flown by the company. Glenn got a close look at both big airplanes. 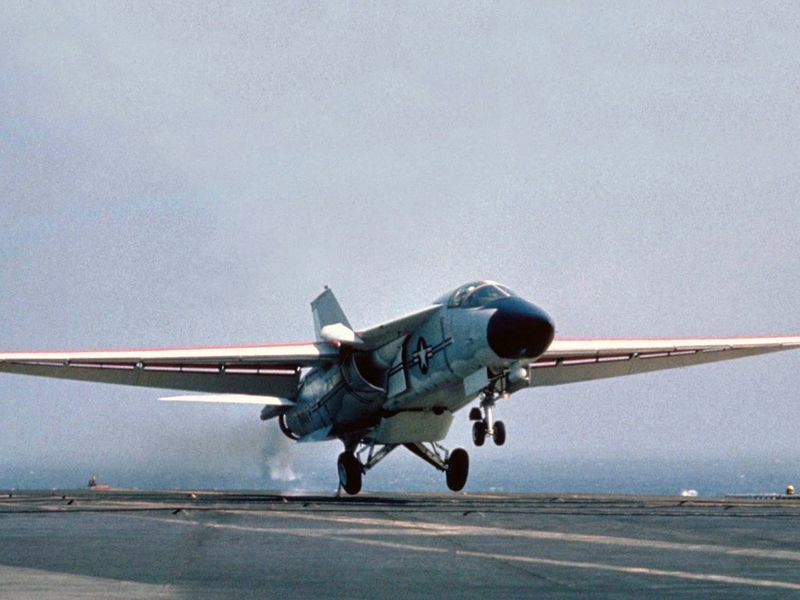 One justification then given for scrubbing the interceptor was its perceived lack of carrier compatibility, but oddly, the airplane wasn’t tested aboard a carrier until after its cancellation, and only then “at the insistence of Secretary Ignatius,” notes Coulam. Although the Navy never wanted any part of a joint TFX program, its ill-starred version might have served as an able interceptor had it not been for changing requirements and lengthy delays in Phoenix missile development. 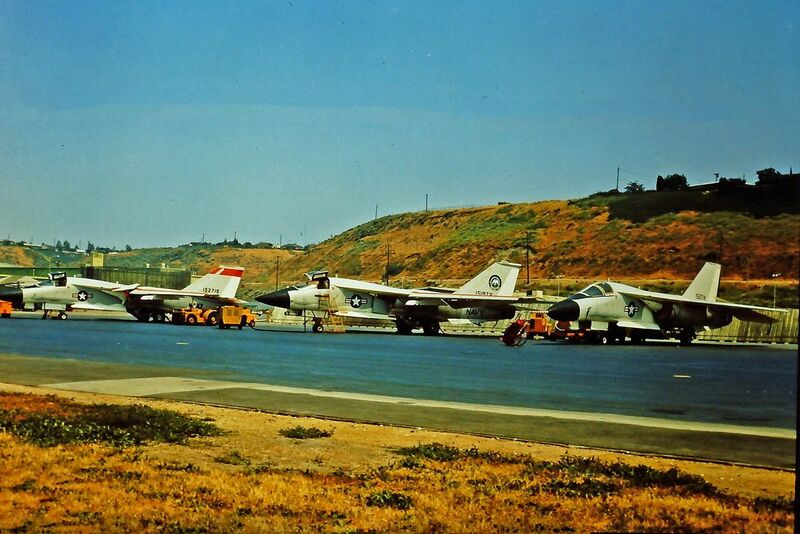 Upon the arrival of the first F-14s, the remaining Navy F-111s were relegated to boneyards. “It was like the Navy didn’t want both planes flying at the same time so they could be compared,” says Glenn. With the Navy’s cancellation, all the compromises made by the Air Force in pursuing two-service commonality were for naught. Moreover, when the Navy dropped its planned buy of 705 F-111Bs, the advantages of economies of scale were lost, increasing the price of the Air Force planes. Several analysts have pointed to the Navy’s experience with the F-111 as a cautionary tale for services deploying the F-35. One pattern the airplanes share is harsh judgment leveled by a chorus of critics before the craft proved themselves in operations. Though the Navy never took to the F-111, the Air Force accepted more than 500 in various roles, including strategic bombing and electronic warfare. Despite an inauspicious combat introduction over Southeast Asia in 1968, Air Force F-111s would mature into exceptional attack aircraft. Indeed, different versions of “McNamara’s airplane” went on to serve for 30 years, with EF-111 electronic warfare variants deployed to the Persian Gulf as late as 1998. The Australian air force picked up two dozen more, and kept the F-111 as its main attack airplane until 2010. The Air Force and Navy have proved that a single airframe can be adapted for their different needs—the F-4 Phantom flew for both services beginning in the 1960s until, for the Navy, well into the 1980s, and for the Air Force, into the 1990s. Yet the debate continues, as heated now as it was decades ago when the Pentagon introduced the then-novel concept of an “affordable” joint-use warplane.